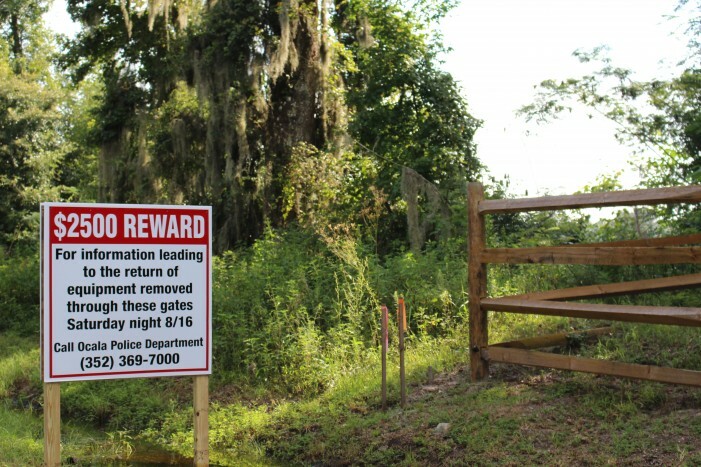 Ocala, Florida — The Ocala Police department is asking for the public’s assistance in locating $47,999 in farm equipment that was stolen from a 4-H farm located at 4020 SE 3rd Avenue, Ocala. The 4-H farm is owned by Richard E. Sherman. Sherman told Ocala Police officer Douglas Russell that the farm is a free donation to all of the public schools and 4-H programs in Marion County. The equipment was purchased so the children could learn how to use and operate the farm once it becomes fully operational. According to reports, unknown person(s) cut the heavy duty lock on the storage barn with bolt cutters. 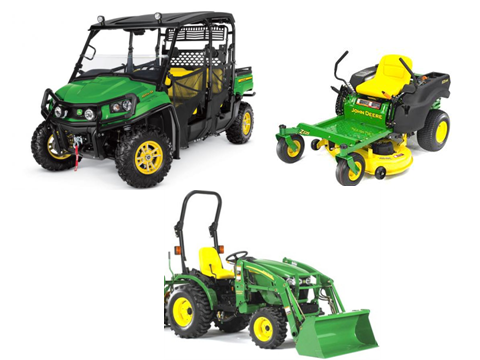 The equipment that was taken was a 2014 John Deere Gator Utility Truck valued at $9,499; a John Deere 4120 Compact Tractor with bucket valued at $30,000, and a John Deere ZTrak Zero-Turn riding mower valued at $8,500. An evidence officer processed the scene for evidence, including “sweeping” the area for DNA. OPD found vehicle tracks that lead through a cut fence at Grace Christian School, which is right next door to the farm. Evidence supports the fact that a trailer was backed up into the bed of the retention pond north of the soccer field where the equipment was then loaded onto the trailer. The thieves knew exactly where the equipment was located. Additionally, they also knew how to maneuver around the farm undetected and out of sight from passers-by. The owner is offering a $2,500 reward for information leading to the return of the equipment. If you know someone that has just obtained new farm equipment, you are asked to contact the Ocala Police Department by calling 352-369-7000; by contacting Crime Stoppers of Marion County at 352-368-STOP(7867), www.ocalacrimestoppers.com; or by texting tips to 274637 using keyword 368STOP. Anonymous tips can also be submitted through the OPD mobile app, MYPD, which can be downloaded on Apple and Android devices.